I absolutely LOVED A Darker Shade of London by V.E. Schwab (my review will be posted later today) so I'm thrilled to be taking part in the blog tour and excited to welcome Victoria to my blog today to tell you all about her favourite literary dystopias. Before I hand over to her I want to tell you a little more about the book though. 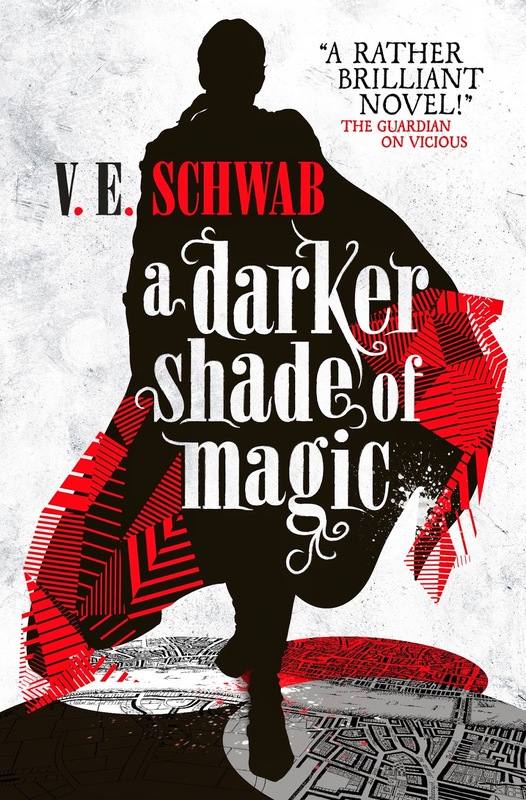 A Darker Shade of Magic is a fantastic fantasy story, one full of magic and parallel worlds and that will keep you on the edge of your seat as you follow Kell and Lila on their adventure! Kell is one of the last travellers - magicians with a rare ability to travel between parallel universes connected by one magical city. There's Grey London, without magic and ruled by the mad King George III. Red London - where magic is revered, and where Kell was raised alongside the heir to the empire. White London - where people fight to control the remaining magic and magic fights back. And once there was Black London . . .
Officially Kell is the Red traveller, carrying letters between the monarchs of each London. Unofficially he is a smuggler, a defiant hobby with dangerous consequences. His escape to Grey London leads to a run-in with Delilah, a cutpurse with lofty aspirations, who forces Kell to take her on a proper adventure. But perilous magic is afoot, and an adventure becomes a mission to save all of the worlds. Now doesn't that sound fabulous? Now let me hand you over to Victoria . . .
Fahrenheit 451 by Ray Bradbury – An incredible novel about a future in which books are burned because they’re seen as the root of all discord. An obvious choice, but it’s simply stellar. Legend by Marie Lu – The reason the Legend trilogy succeeds, in my opinion, is because it doesn’t overemphasize the world. This is one of those rare occasions where less is more. The premise for the dystopian aspect is slim but believable, and the emphasis is on the characters and their relationship. It also gets points for being a YA dystopian take on Les Miserables. Brave New World by Aldous Huxley – This is probably my favorite dystopian novel to date. At once out there, and incredibly grounded, I see so much of today’s world in this book about creating a “happy” society through brainwashing, drugs, and social stratification. I found it extremely troubling, and extremely believable. Have you read any of Victoria's choices? Are any of them in your favourite literary dystopias list? Which other books would you add?